This Standing Camel is a smaller model for the 15 foot high camel Robert Cook made for the city of Jeddah in Saudi Arabia. In his book entitled “Waxing and Waning” this American artist recounts his trip to the camel fair in Rajasthan, India where he drew images of camels for five days while the animals were being traded. 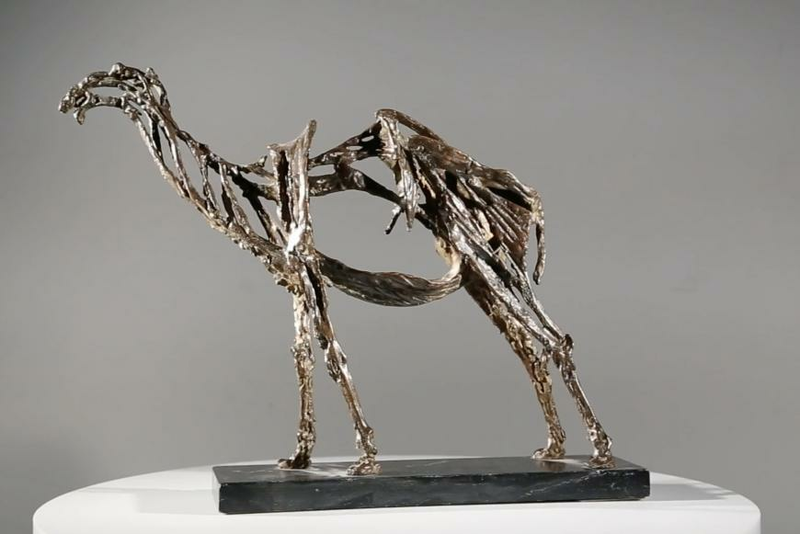 Cook is known for using his own compound formula of beeswax, paraffin and rosin; this technique translates into unique and one-of-a-kind provocative bronze forms as in our Standing Camel. 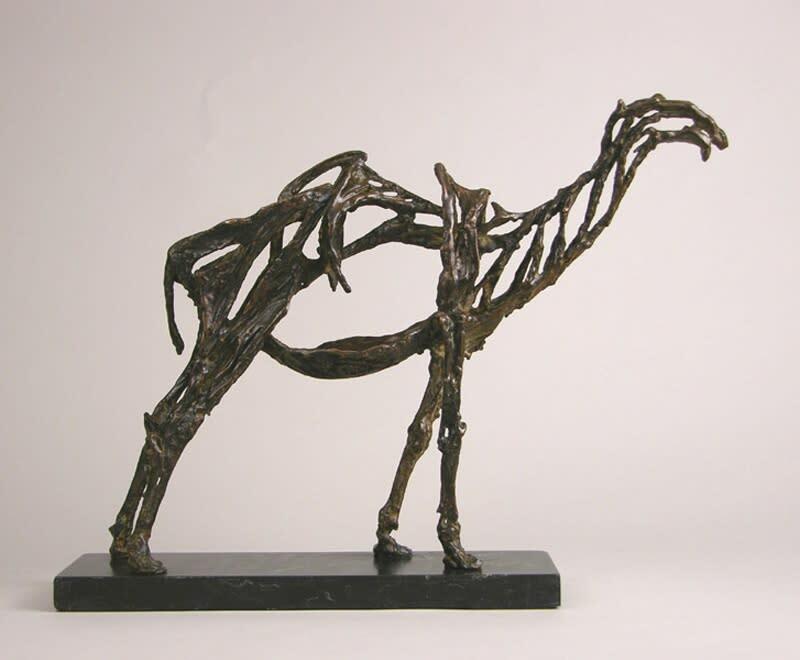 The sculptures of Robert Cook reveal a deep seated love for animals of the land, sea, and air—elephants, tigers, giraffes, porpoises, pelicans, ducks, flamingos, and now a marvelous standing camel. Cook explores the full cycle of life in all its forms through his sculptures.